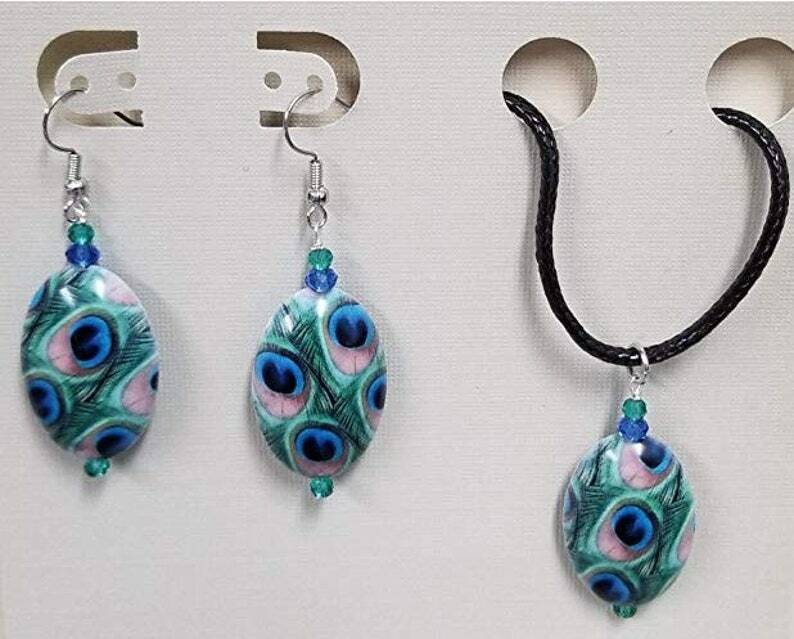 Acrylic peacock beads accented with small matching glass beads earring and necklace set. Silver colored metal findings used. Earrings: Approximate length of the earrings - 2.25" long. Nickel free fish hook earrwires. Necklace: Matching pendent made on a 2mm faux leather cord with lobster-claw clasp. Necklace adjusts from about 18" - 19". The photos used in my adds are stock photos. I use the beads listed in the add add but certain beads such as a lot of gemstone beads and lampwork beads are not 100% identical. There is usually no 2 exactly alike.